Welcome to our APMEX review page. APMEX (American Precious Metals Exchange) offers precious metal specialists to help you diversify your assets into a precious metals IRA. They ofer a wide range of IRA approved products which can be viewed in full detail on their website. NOTE: APMEX representatives are available by phone Monday through Friday but closed on weekends. The Better Business Bureau states the company has been accredited since April 29th, 2004. APMEX offers a wide range of gold, silver, platinum and palladium products for IRA’s. The company posts the following process for opening a precious metal IRA. Buyback Program: The company offers a buyback program in case you wish to sell our gold, silver, platinum or palladium assets. Investor Education: The company offers clients free educational videos and a free precious metals IRA guide. APMEX has 48 Complaints reported to the Better Business Bureau (BBB). The company has higher than average complaints from current or previous customers online. One thing to consider, however, is they have been in business longer than most precious metal dealers so it would be expected to see a higher review/complaint ratio. Due diligence is recommended. APMEX has published a few marketing videos explaining the basics on precious metal IRAs as well as some of their featured products for purchase. They also offer potential clients a free precious metals IRA guide available on their company website. 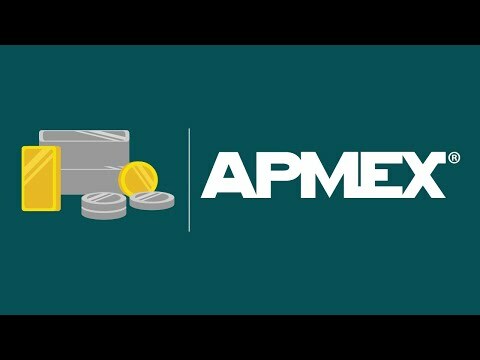 Our APMEX review concludes that APMEX has a higher risk reputation online from previous customers but seems to resolve any complaints. However, we recommend your perform your own due diligence and contact them directly in order to decide for yourself.